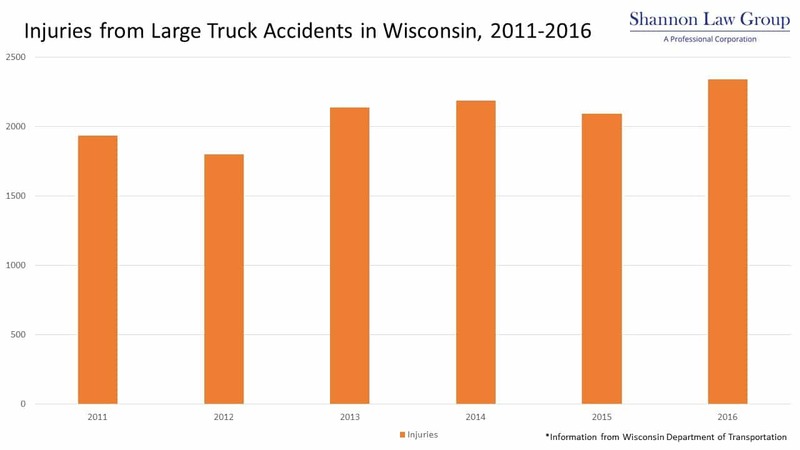 In Wisconsin, the number of deaths and injuries from large truck crashes has increased over the last few years as well. 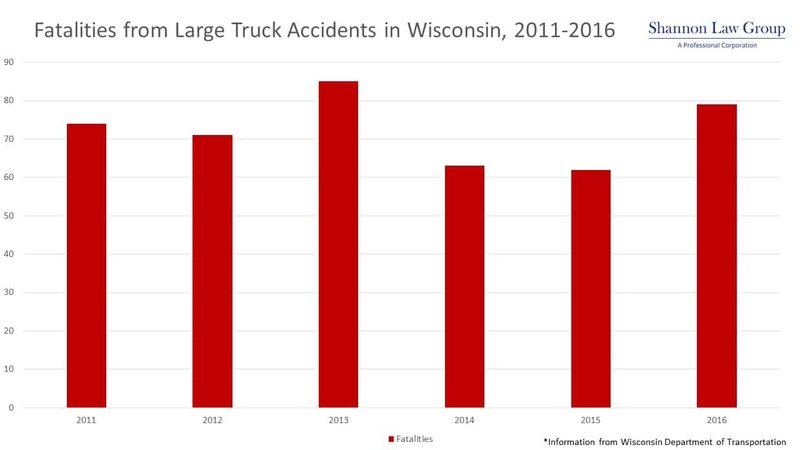 The Wisconsin Department of Transportation reported a total of 7,461 large truck crashes in 2016, compared to 5,882 crashes in 2012 when it was at its lowest.2 There are many potential reasons behind this increase—but first, let’s look at the statistics. Typically, injuries caused by a large truck crash tend to be more severe, especially for occupants of smaller passenger vehicles. 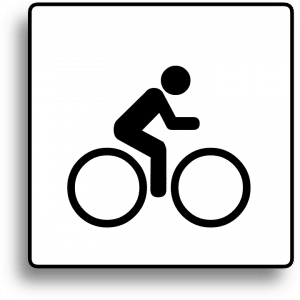 Therefore, this increase in injuries is a cause for concern in Wisconsin. In a 2015 report, the National Highway Traffic Safety Administration (NHTSA) found that large-truck drivers “have the highest percentage (20.1%) of previously recorded crashes compared to drivers of other vehicle types.”3Therefore, large-truck drivers have a higher chance of causing an accident that results in the injury and death of motorists in Wisconsin. Being fatigued. Drivers of large trucks are allowed by “federal hours-of-service regulations to drive up to 11 hours at a stretch.”2 Truck drivers who are on the road for longer are more likely to fall asleep at the wheel or make crucial errors while driving. Driving too fast. On Wisconsin rural freeways, large trucks can travel up to 70 miles per hour.4 The faster a truck is traveling, the more distance it needs to stop. Therefore, there is less room for error when a truck is speeding compared to other smaller vehicles. 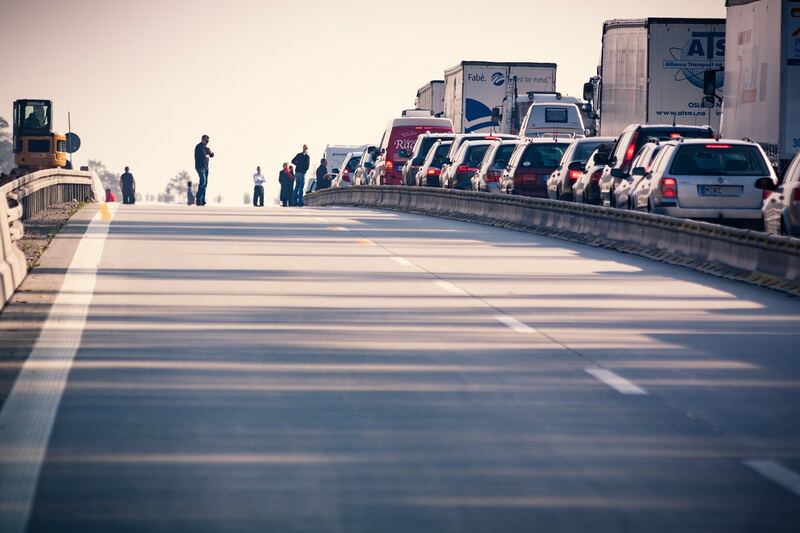 Victims of truck accidents are often left vulnerable. They may have serious injuries, along with large medical bills they cannot pay. 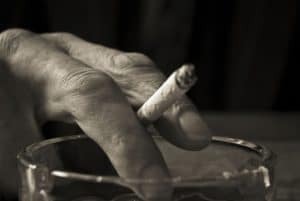 If you or someone you love is in this unfortunate situation, our attorneys at Shannon Law Group, P.C., are ready to shoulder these burdens for you. 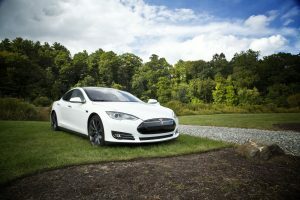 We will not only get the most compensation for you but also make sure your needs are taken care of. Please call us at (312) 578-9501 or toll-free at (886) 881-9980. You can fill out our online contact form, too. A free, no-obligation consultation is available as well. FAQ: If I’m in a Crash, Who Pays My Medical Bills?